My mother's family in Alabama believed there was no food in the north. It does seem counter intuitive, perhaps they believed there was no GOOD food in the north. They were always sending food stuff to my mother. On one rather calamitous trip to Alabama, where I got sick, my mother got sick, and my father was forced to come and rescue us, food from the South became a big issue. Since my mother wouldn't fly, my father came to get us and take us back to the cold, cold north on the train. He was not happy that his presence was required to get his family home, but it seems that every time we went to Alabama, there was some sort of conspiracy to keep us there. My father bundled us up and there was a big ol' caravan to take us to the train station in Birmingham. We got on the train and all was well, until it wasn't. Our train was delayed, which required an unexpected train change and a short timeline. My father got the bags and was somewhat dismayed at the sheer weight of two bags. I was still a bit sick and whiny, complaining about the train change and the cold weather in Chicago. My father set down the bags a bit too forcefully and soon it became clear why they weighed so much. My great-aunts had stuffed them with canned beans, tomatoes, pickles, and jams. It was a quart of bean that broke in the bag, soaking the contents with bean juice, beans, not to mention the chunks of broken Ball jars. He got mad, mother cried, then I cried. There was no way to simply abandon the bags. We made it home but we never again traveled to Alabama without my father and we never went on the train, again. I am no better. Back when White Lily Flour was still milled in the South and still hard to find way up north, I would bring back bags of flour from my visits. After one visit, a friend of mine, who was also a chef, walked into the kitchen and asked if I was thinking of opening a bakery. Last year, returning from Charleston, SC my car held two cases of Blenheim ginger ale, ten pounds of Carolina Gold rice, and five pounds of sea island red peas. This trip South was no different. 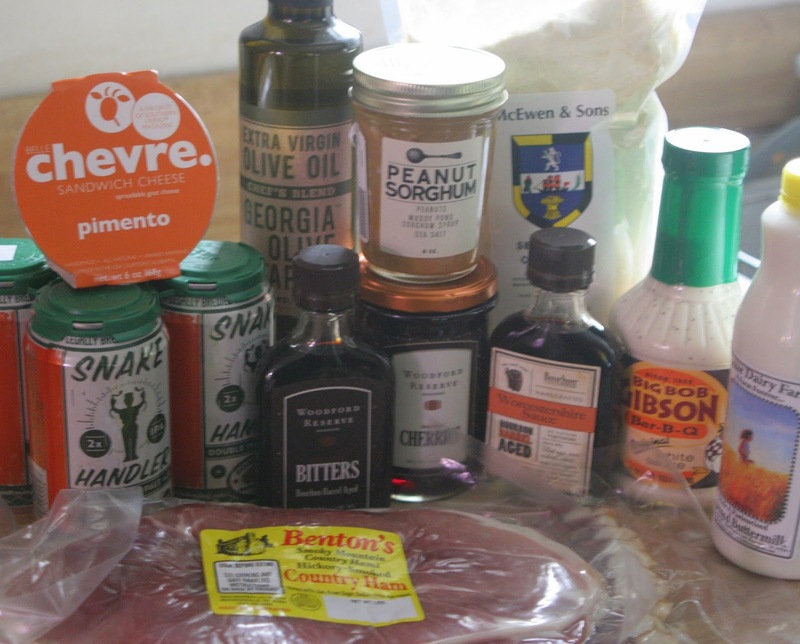 It was a perfect time to stock the larder with Southern delicacies. Where to begin? Let's begin with bourbon in Kentucky -- Bourbon Barrel Foods. 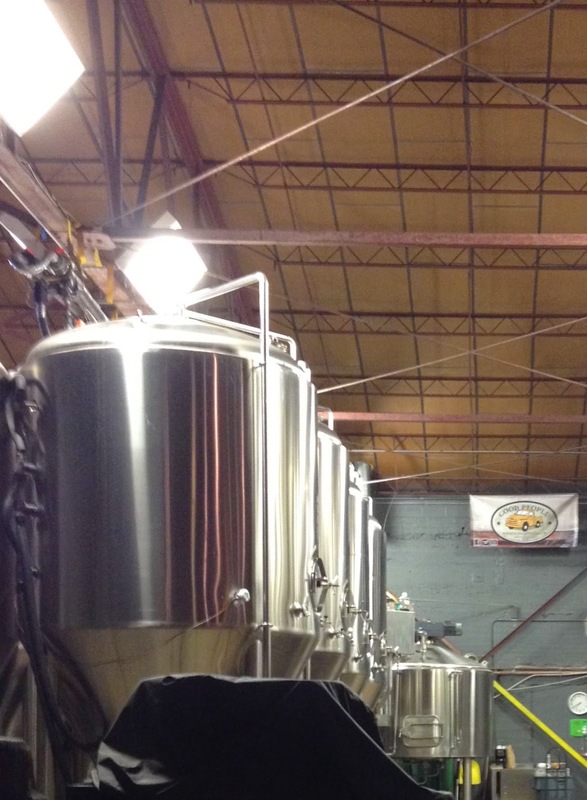 They began in 2006 as a soy sauce microbrewery. Exactly! They were the only one in America. Now they have moved on into Worcestershire sauce, salts and vanilla. With Woodford Reserve® they are making bitters, spice blends, and Woodford Reserve® Bourbon Cherries. ham. The James Beard Foundation is naming Allan Benton to it's 2015 Who's Who of Food & Beverage in America and no one deserves it more. 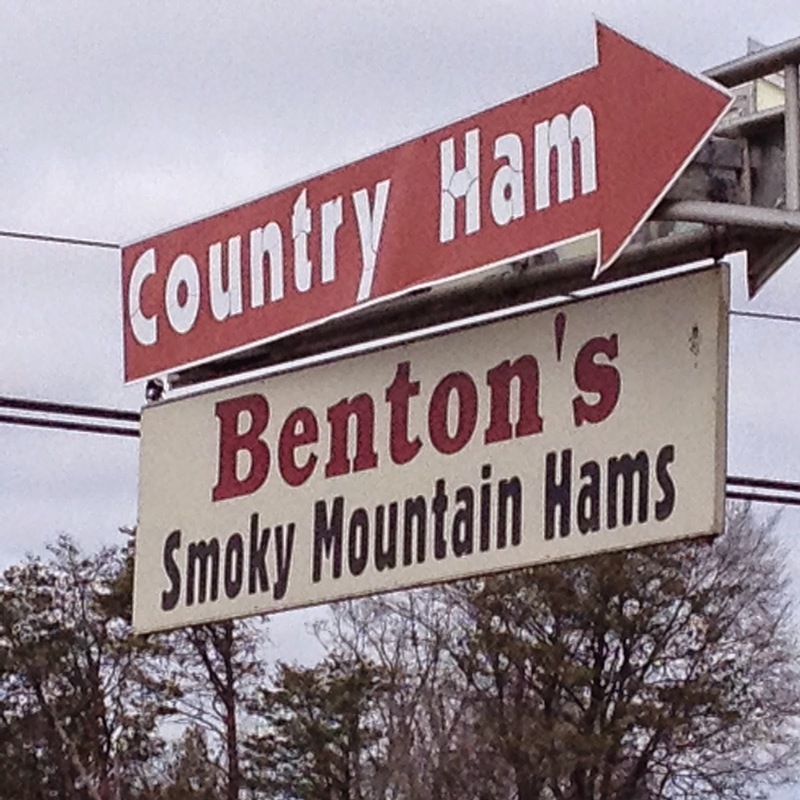 While we were waiting on some county ham, one of the butchers asked me if I cooked dried bean. I said I did and he tucked and enormous ham hock into by bag! It that wasn't great enough, we also picked up some Cruze Buttermilk. Why carry buttermilk from Tennessee to West Virginia? Cruze buttermilk is ACTUAL buttermilk. That stuff you get in groceries is cheap milk with cheap additives. The is no butter there. Cruze is the real thing. We also grabbed a couple of bars of Olive & Sinclair Chocolate. While we never quite crossed into North Carolina, we couldn't resist a jar of Big Spoon Roasters Peanut Sorghum Butter. We did nick a corner or Georgia, so we picked up some olive oil from Georgia Olive Farms. Who needs Italy! Of course, the biggest haul came from Alabama. 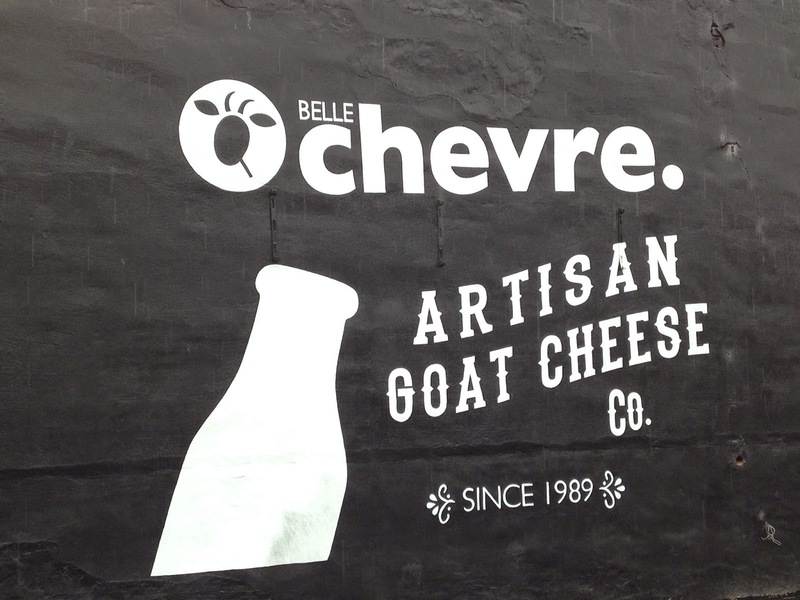 We headed up to Elkmont on a Sunday, knowing that Belle Chevre would be closed, but we wanted to do a drive-by. We wrote about owner Tasis Malakasis' first cookbook here. Glad to see another one on the way. We wrote about Susan McEwen McIntosh's cookbook Glorious Grits here. Some of the most glorious grits are from McEwen & Sons in Wilsonville, Alabama. They have excellent corn meal, too. We have written about Big Bob Gibson's BBQ Book here. Big Bob's is the home of white barbecue sauce, and while I often make it fresh, we picked up a couple of bottles to have on hand. We went to a party at Good People Brewing Company, who let us party in the midst of expansion. We grabbed some Snake Handler on tap, but it was scarce as... well, snake handlers. Fortunately, my goddaughter knew a place in north Alabama and we found some to bring home. 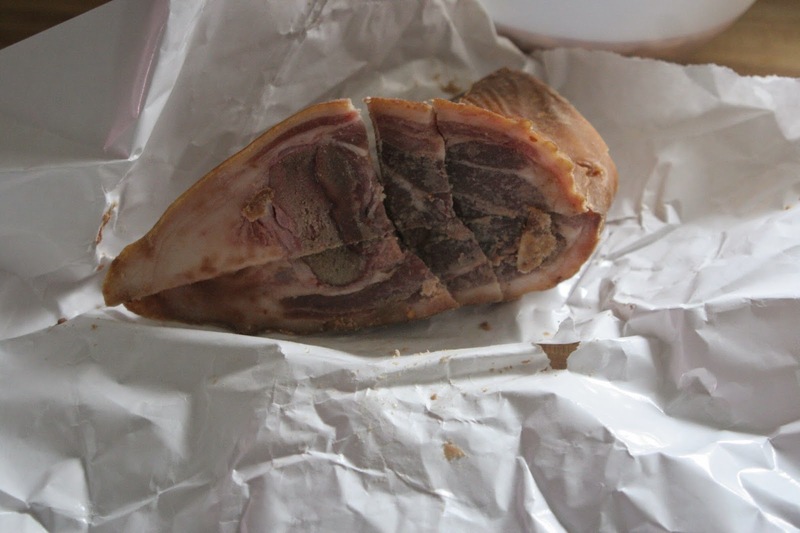 The first thing I cooked when unloaded the loot was a pot of beans with my ham hock from Benton's. They had cut it in four nice pieces, so there was plenty to spare. 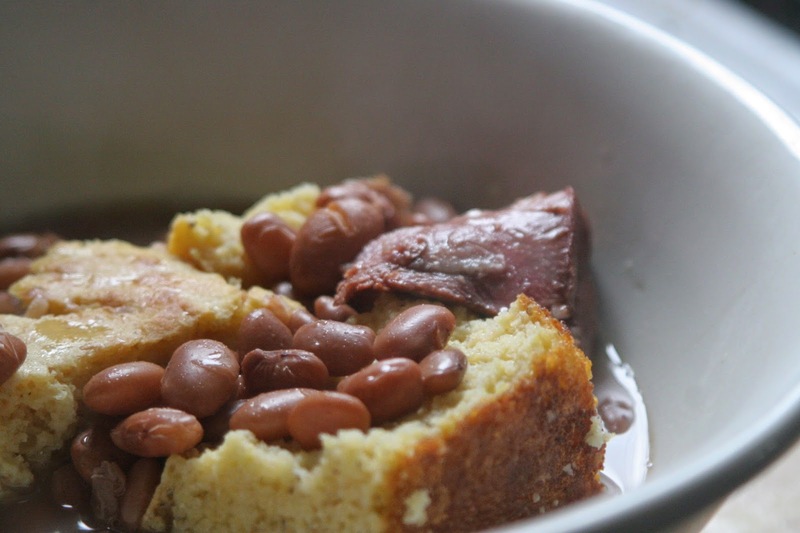 I made a skillet of cornbread with McEwen's meal and Cruze buttermilk. 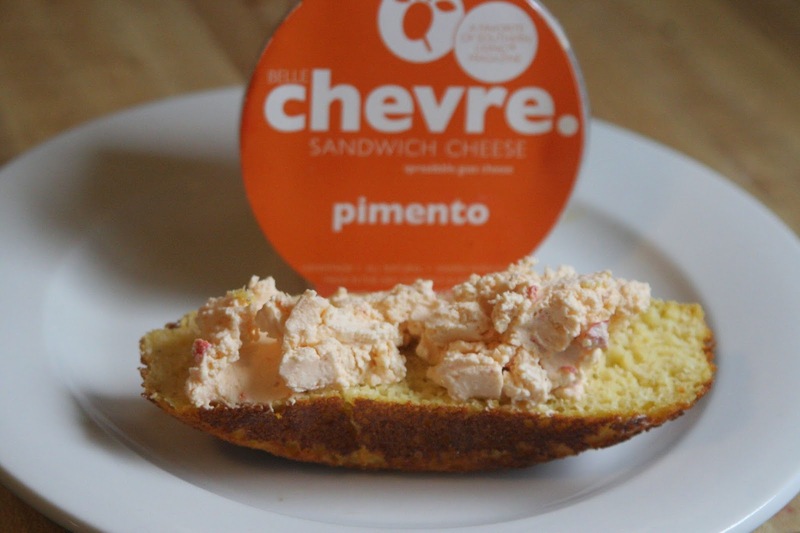 As soon as the cornbread was ready, I cut a piece and spread it with Belle Chevre Pimento cheese. They say the next big food area is Appalachia. If that's true, this is best we can offer. With all the turmoil and bad things that happened in March, we can honestly say, the larder is in great shape!